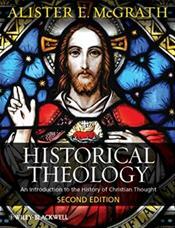 Freshly updated for this second edition with considerable new material, this authoritative introduction to the history of Christian theology covers its development from the beginnings of the Patristic period just decades after Jesus's ministry, through to contemporary theological trends. A substantially updated new edition of this popular textbook exploring the entire history of Christian thought, written by the bestselling author and internationally-renowned theologian. Features additional coverage of orthodox theology, the Holy Spirit, and medieval mysticism, alongside new sections on liberation, feminist, and Latino theologies, and on the global spread of Christianity. Accessibly structured into four sections covering the Patristic period, the Middle Ages and Renaissance, the reformation and post-reformation eras, and the modern period spanning 1750 to the present day, addressing the key issues and people in each. Includes case studies and primary readings at the end of each section, alongside comprehensive glossaries of key theologians, developments, and terminology.